So 2016 will always be lamented as a terrible year, but for me in my bookish bubble it has been fantastic. 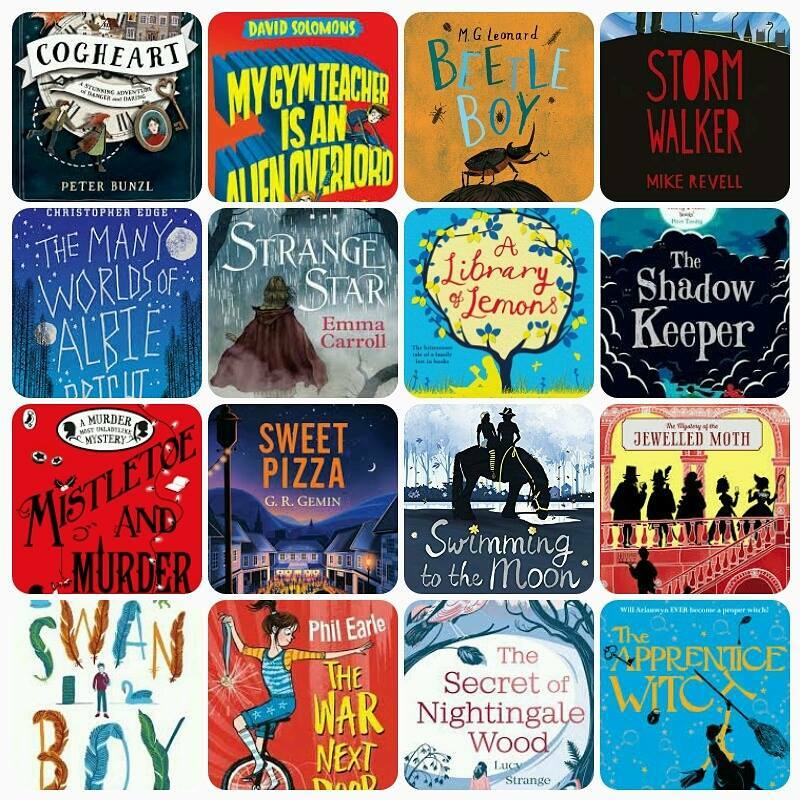 Not only have I had the privilege to read and review so many brilliant books and meet so many amazing authors, I have been thrilled to have reviews in TES and The Guardian. It has been my first full year of blogging and it has opened so many exciting opportunities for me and for all of these I am truly grateful. 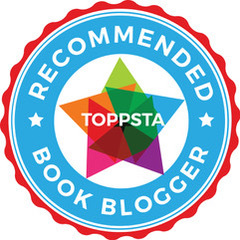 Every book I feature on my blog I have genuinely enjoyed so to choose favourites has been incredibly difficult. 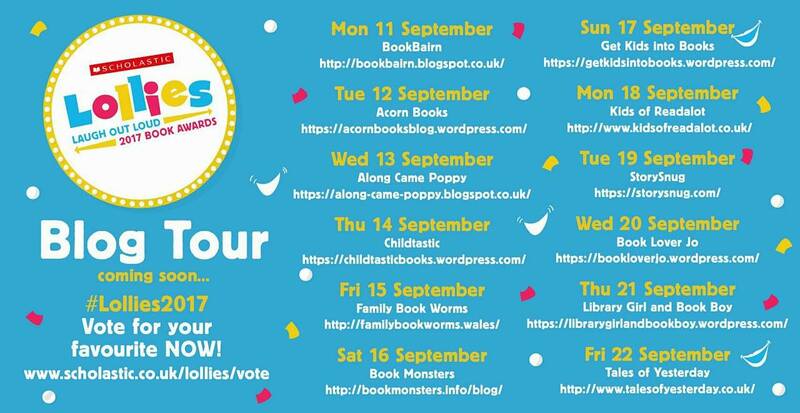 Hands up I did cheat just a little, I created a longlist which I will also share with you! 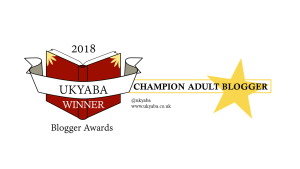 My blog has featured 160 book reviews and 20 guest posts and some of my absolute favourites I chose to savour just for myself and for that I can only apologise. Here are my final 16 for 2016 which have been agonisingly whittled down from a selection of absolutely brilliant books! 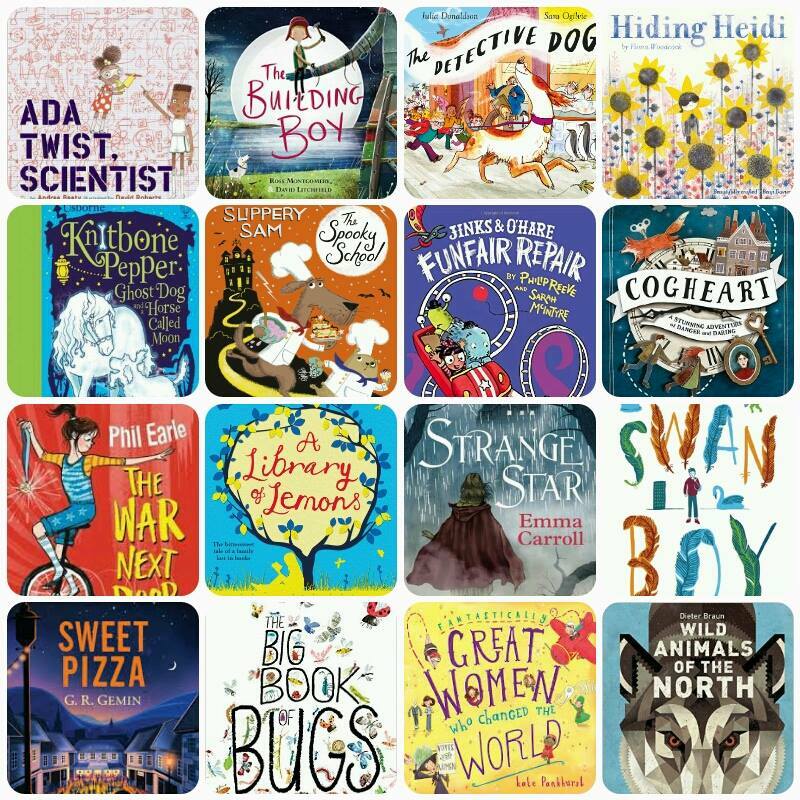 But let’s not forget the incredible line up of books that were longlisted for my books of the year, these are books that you would want to have in your school library or at home if you’re looking for inspiration on what to read next. None of this would be possible without the amazing support of all the authors, publishers and publicists who have kindly sent me books to review and the public library for fuelling my unquenchable thirst for reading. 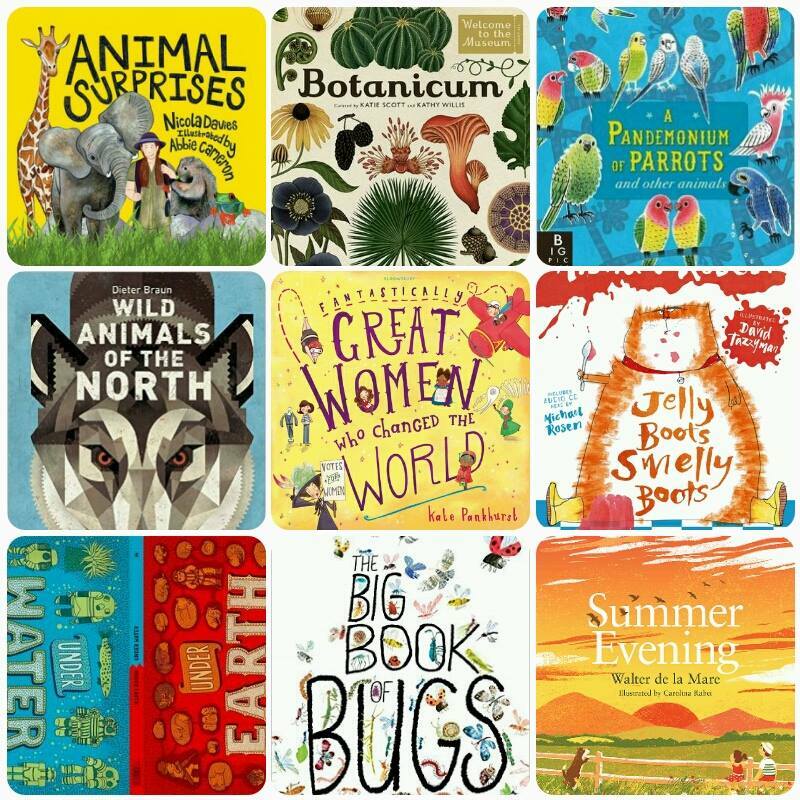 Having had a sneak peek at some of next year’s books 2017 is looking to be another fantastic year and I look forward to sharing them with you. And lastly to everyone who has visited my blog and shared my reviews on social media, thanks for your support it really does mean the world to me . 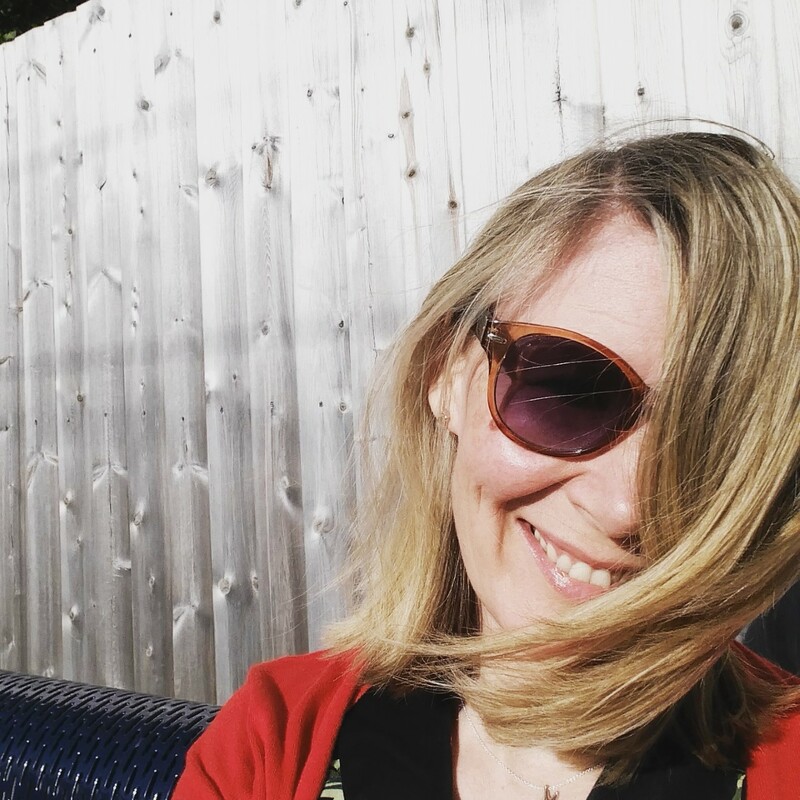 Ultimately this blog is for you the reader whether you are a child, parent, teacher or fellow librarian, so I’m hoping this has been useful for you. Wishing you all a wonderful New Year, see you in 2017 for more brilliant books! This entry was posted in Uncategorized on December 31, 2016 by bookloverjo. Christmas isn’t Christmas unless I find a book inside my stocking on Christmas Day. At this time of the year I can’t resist a Christmas story for sharing with my girls, reading at Storytime or for spoiling myself with some peace and quiet and a festive read. 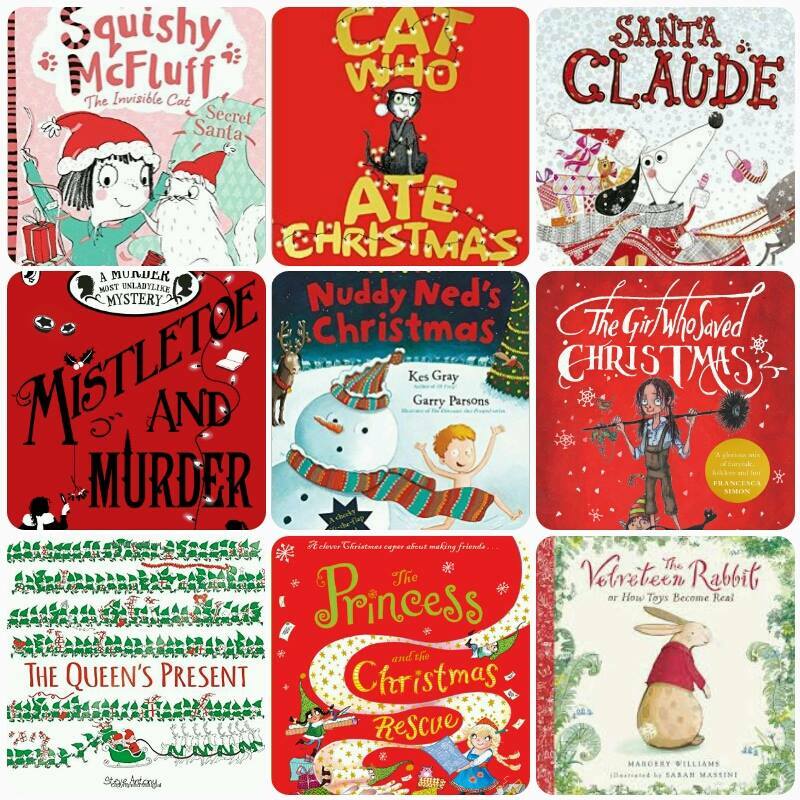 Here is my pick of some of my favourite Christmas books I have enjoyed this year. To everyone who has visited my blog this year hope you all have a wonderful Christmas filled with lots of lovely books. I’ve had so much fun sharing this fabulous book during Storytime at school. Caryl Hart’s superb storytelling is told through the most sublime rhyming, making it an absolute joy to read aloud. Meet the brainy and bright Princess Eliza who loves making contraptions despite this being a hobby that is far from princessy. The Queen wants her to make friends and not get messy, so she goes off on a search and discovers the elves in Santa’s workshop in a real tizzy. With Santa ill, can Eliza use her inventing skills to save the day and hopefully make some friends along the way? 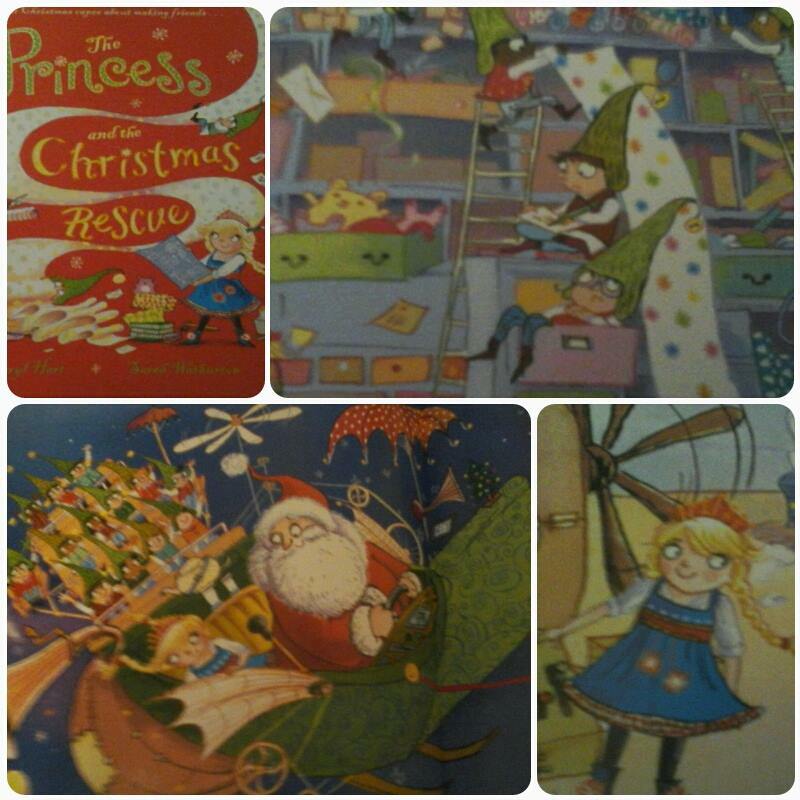 It is fantastic to see a feisty, brave princess in a fairytale who doesn’t need to be rescued and in fact uses her creativity and ingenuity to save Christmas. Sarah’s sumptuous spreads are filled with beautifully detailed illustrations ensuring this book is a truly marvellous sight to behold. 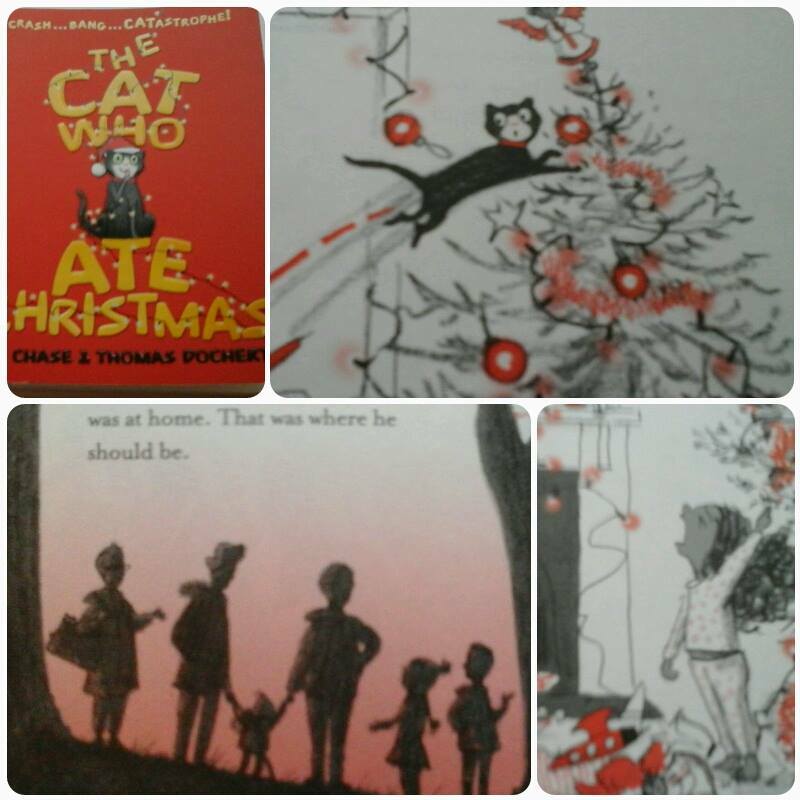 A truly imaginative and stunning festive feast of a book. When The Queen needs a special present for the little prince and princess, who better to help her find them than Father Christmas. Whisked away on a sleigh on a whirlwind tour of the world’s best known landmarks, dashing over the Effiel Tower, soaring up to the Great Pyramids and flying over the Statue of Liberty they search and search but to no avail. But when she arrives at Sandringham House they still receive the best present of all. With striking illustrations in a festive red and green palette this fascinating trip around the world is bound to captivate and entertain. 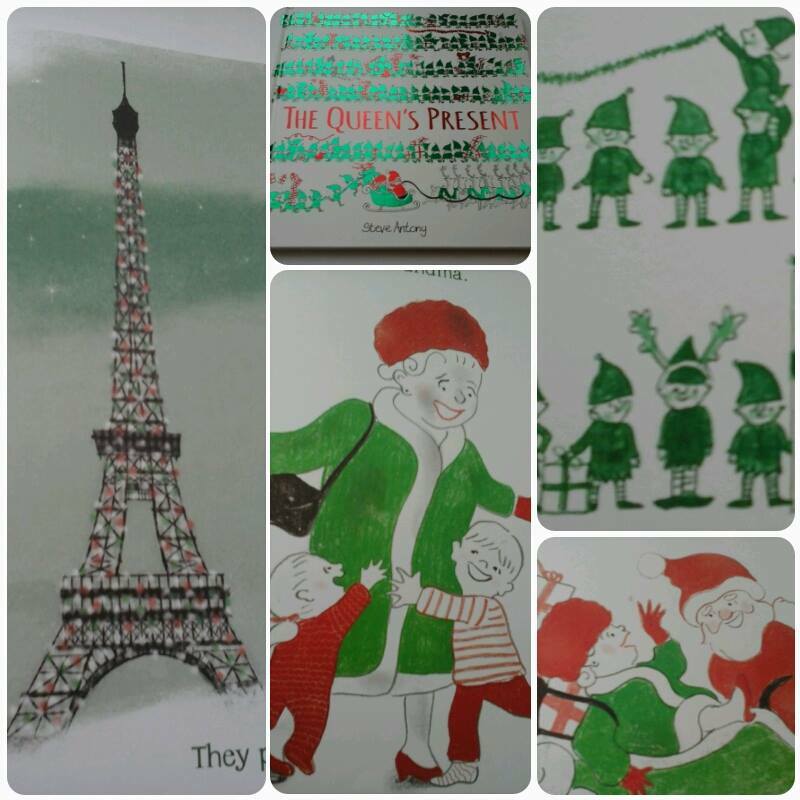 Busy elves fill the glorious endpapers and are scattered throughout the spreads giving curious children plenty to spot and discover as they follow The Queen on this exciting journey. It’s Christmas Eve, it’s minus three and there’s a VERY special person Ned just can’t wait to meet! Look out Santa, Nuddy Ned is on his way and he’s completely starkers! This crazy festive caper will have you laughing out loud at Ned’s naughty antics. Whenever I have shared this story it has caused much hilarity with its strategically placed flaps to spare your blushes and Ned’s modesty! Kes Gray’s robust rhymes make this a joy to read aloud and Garry Parsons witty, vibrant illustrations will fill you with festive cheer. 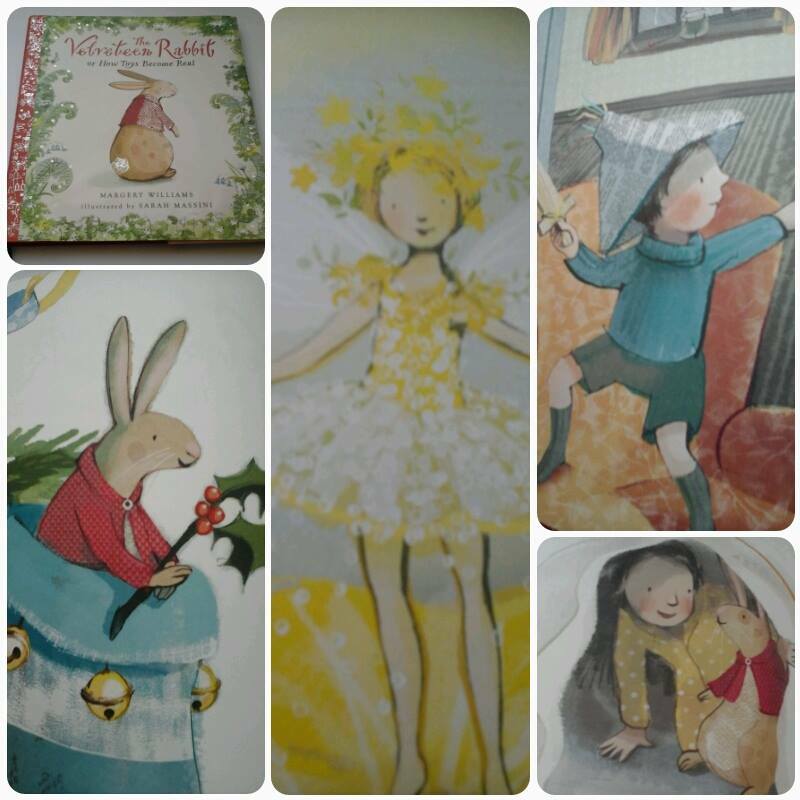 This stunning new illustrated addition of ‘The Velveteen Rabbit’ is a real joy to behold. From the embossed cover nestling underneath the luxurious slip cover, to Sarah Massini’s lavish and exquisite illustrations filled with warmth and emotion. The Velveteen Rabbit longs to be Real, just like his wise old friend the Skin Horse. But being Real isn’t about how you’re made, it’s something that happens to you, and with a small boy’s love and some strange and wonderful nursery magic, the little Rabbit’s dreams might just come true. An emotional tale about the love between a child and their toy and the adventures that they enjoy together. I adored everything about this beautiful book, it truly deserves to be loved and treasured. This gorgeous, heart-warming story of a mischievous kitten who causes chaos at Christmas made me laugh in despair in equal measures. Having recently become a proud owner of a brand new kitten who is just as naughty as Jingles, I’m beginning to feel I may have an interesting time this year. Poor Jingles keeps finding himself in trouble. He manages to knock over the Christmas tree, shred the presents and eat an entire turkey making the whole family very cross. What else could possibly go wrong? A delightful tale full of humour and warmth, wonderfully complemented with gorgeous illustrations by Thomas Docherty this is a real treat to share. Children will love the facts, jokes, craft activities and recipes that will keep them amused in the run up to Christmas Day. It is four days before Christmas and Ava and Squishy are trying their very best to be good because they know if they’re naughty then Santa won’t come. As you turn the pages you can guess the naughtiness which is about to happen as they encounter Christmas trees with wonky stars that just NEED fixing and leftover Christmas wrapping paper which invites them to wrap everything , including Dad. But when Ava is asked to write her Christmas list she just has one thing she wishes would come true. Ella Okstad’s illustrations are full of humour and the characters are drawn with such endearing expressions that you can’t help but become totally entranced by this story. 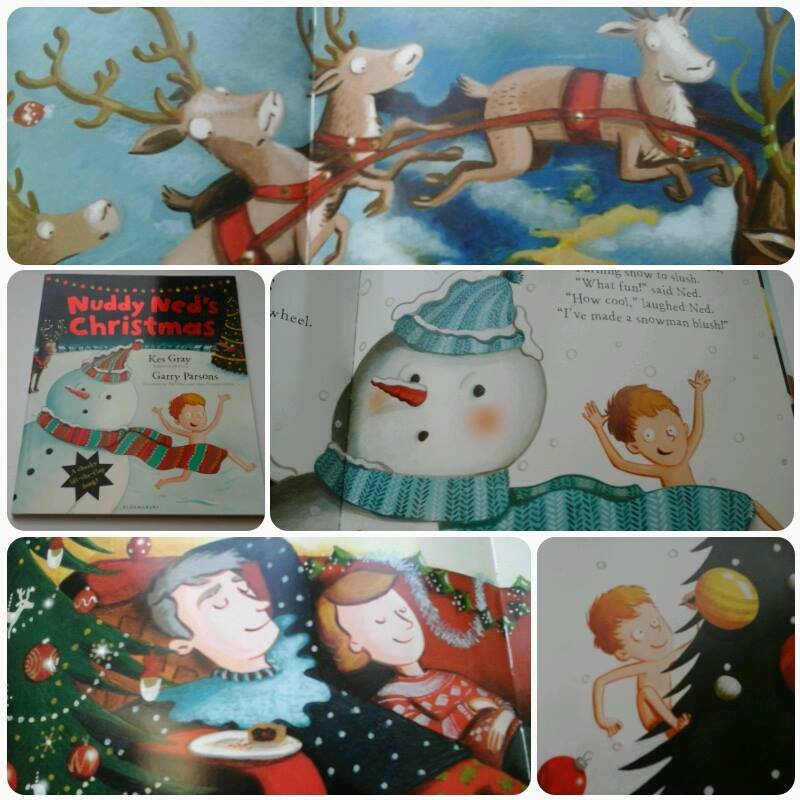 Pip Jones has created a magical and enchanting story, the ending is a Christmassy as crackers, mince pies and reindeers. 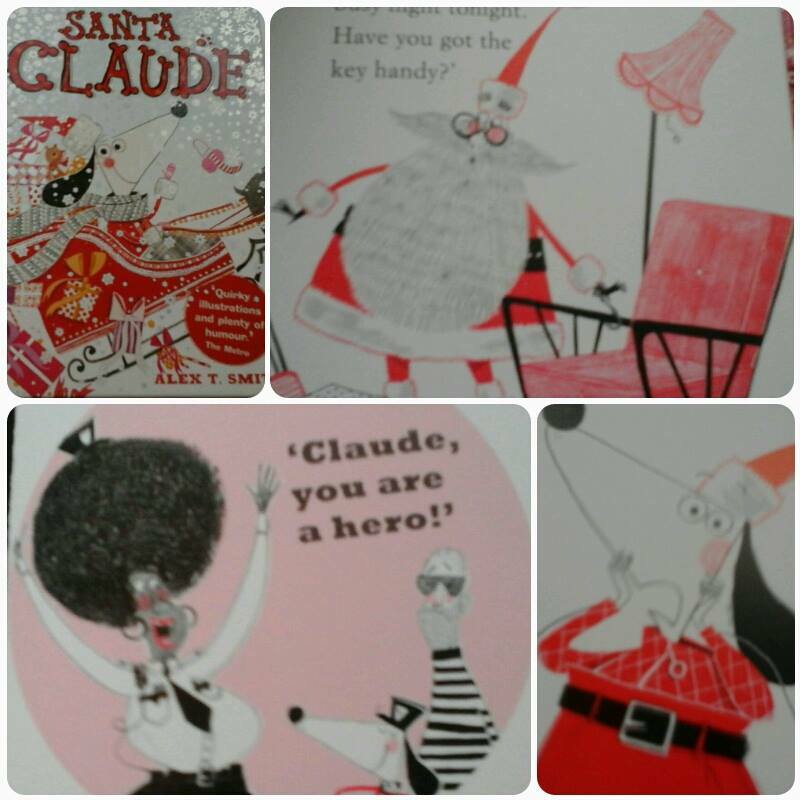 Claude is back in this hilarious seasonal caper filled with mischief and mayhem. When an intruder whooshes down Claude’s chimney on Christmas Eve he is ridiculously excited at the prospect of catching a real life burglar. Bravely tackling this fearsome criminal and handcuffing him to a chair, little does he realise that he has just captured Santa Claus. A lost key means Santa is stuck and it is down to Claude and Sir Bobblysocks to make sure all the presents are delivered in time. 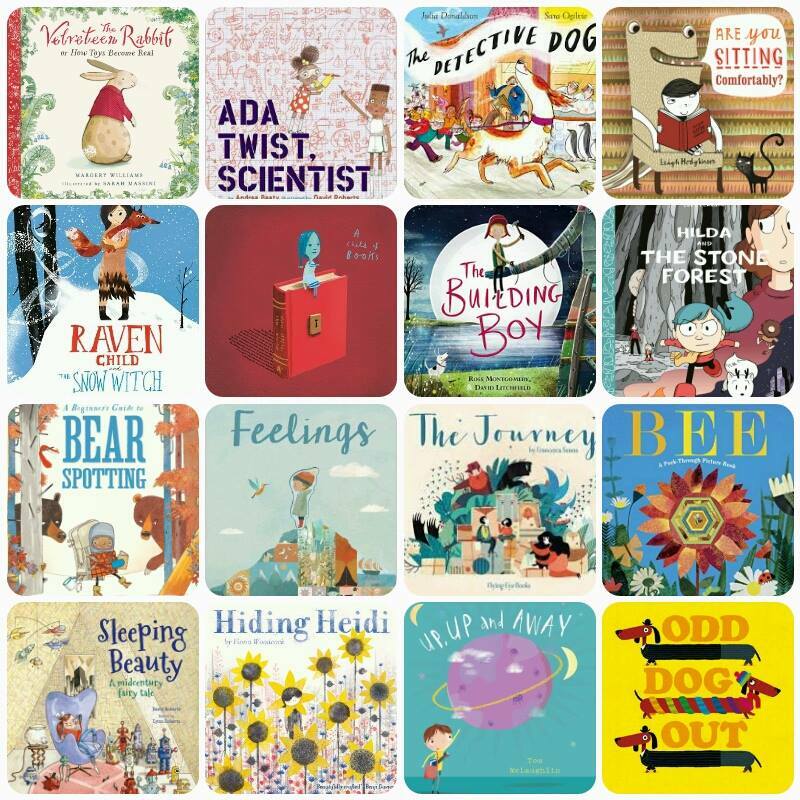 The incredibly witty illustrations are full of energy and humour and will certainly captivate the reader. A brilliantly funny tale, packed full of action and adventure that is guaranteed to be a huge hit with Claude fans. Daisy and Hazel are back in another intriguing mystery which will delight and confound the most ardent of Detective Society fans. Spending Christmas holidays in snowy Cambridge with Daisy’s brother Bertie, their dreams of festive bunbreaks galore are disturbed when a brutal accident takes place amongst the dark stairwells of Maudlin College. Suspecting that a murder has taken place they set off to uncover the killer whilst trying to outwit a rival agency the Junior Pinkertons who are determined to beat them. Dark and mysterious the story will keep you guessing right to the end with its series of clever twists and turns and once again I failed miserably to identify the culprit. 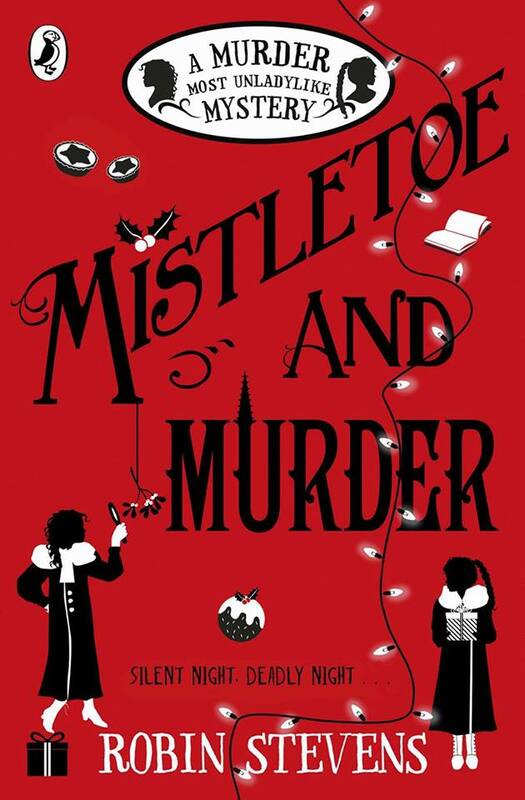 Robin Stevens is a brilliant writer, who manages to make me love each book just a little bit more than the last and Mistletoe and Murder is one of my favourite books of the year. This series is truly irresistible and any of the books would make a fantastic Christmas gift for mystery fans. 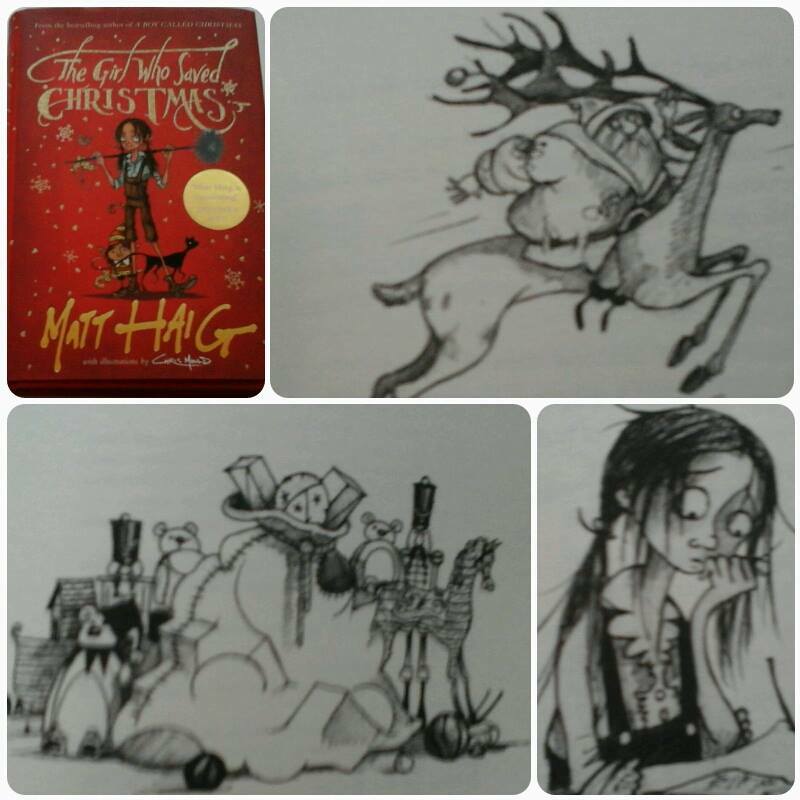 We all need some magic in our lives at Christmas and Matt Haig more than delivers in this wonderful tale filled with hope, dreams and the power of belief. When Amelia wants a wish to come true she knows just the man to ask – Father Christmas. But the magic she wants to believe in is starting to fade, and Father Christmas has more than impossible wishes to worry about with angry trolls on the loose and the chance that Christmas might be cancelled. Amelia is no ordinary girl and if Christmas is going to be saved, he might not be able to do it alone. A marvellous mix of light and shade this story contrasts beautifully the hardship and poverty of Amelia’s life with workshops filled with excited elves getting ready for Christmas. 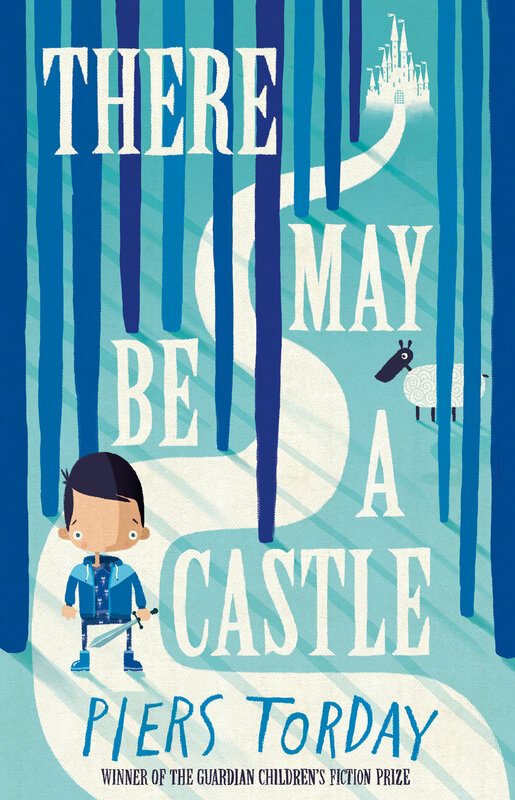 Chris Mould’s illustrations complement the story perfectly. Filled with intricate details and full of energy they capture the despair, joy and magic of the story. If you want your children to ‘believe’ and be sprinkled with Christmas magic then this is the book for you! Thank you to Bloomsbury, Faber, Hodder, Little Brown Books, Nosy Crow and Puffin, for sending me copies of these fantastic books. This entry was posted in Uncategorized on December 11, 2016 by bookloverjo. As Autumn turns into Winter, there is nothing I like better than being wrapped up in a warm blanket, hot chocolate in hand allowing myself to become lost in a winter wonderland. 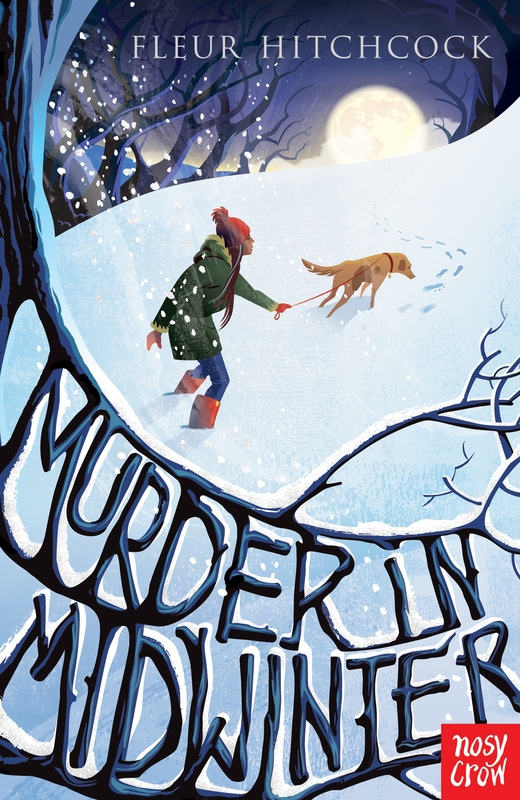 From enchanting picture books, haunting tales to murder mysteries, all of these books are guaranteed to transport you to worlds filled with icy glaciers, crunchy white snow and magical snowflakes. In an ice palace high above the clouds, a magical machine chugs and churns, making beautiful, identical snowflakes under the watchful eye of the perfectionist Snow Queen, But one day when she leaves her daughter, Princess Ellie in charge everything goes wrong and Ellie must find a way to create her very own snowflakes. A lovely, magical story from Lou Treleaven which explores the beauty of being unique and individual. 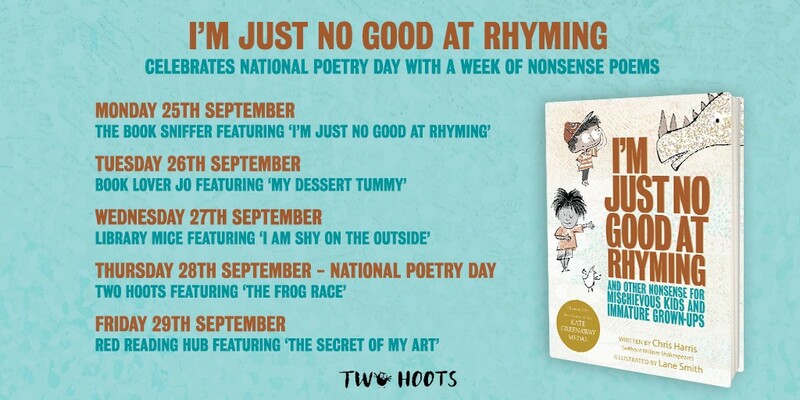 The gently rhyming tale makes it ideal for sharing or reading aloud. 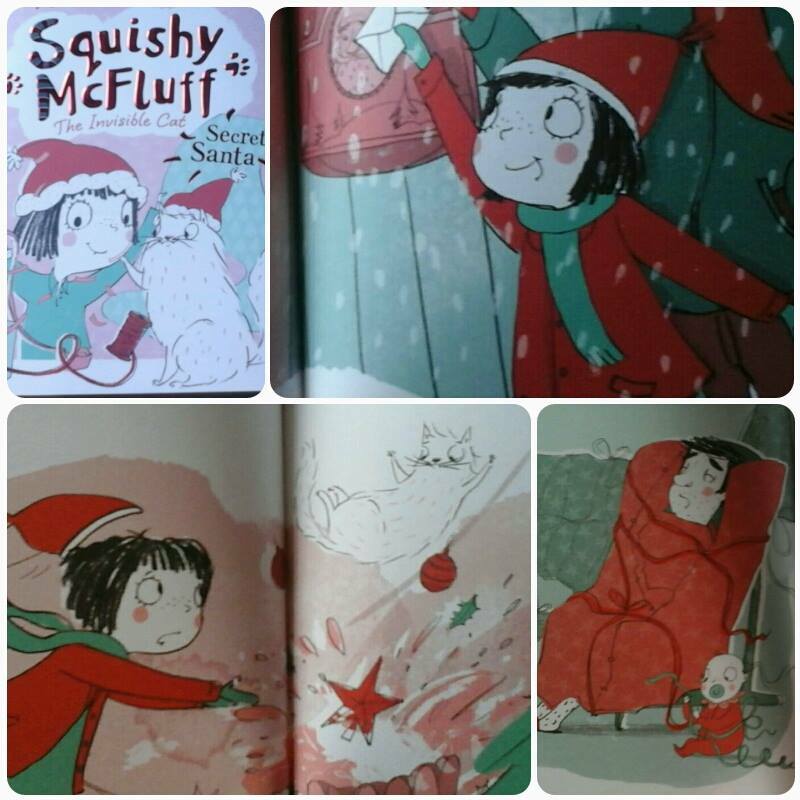 Combined with Maddie Frost’s colourful and vibrant illustrations, makes this book a perfect winter treat. 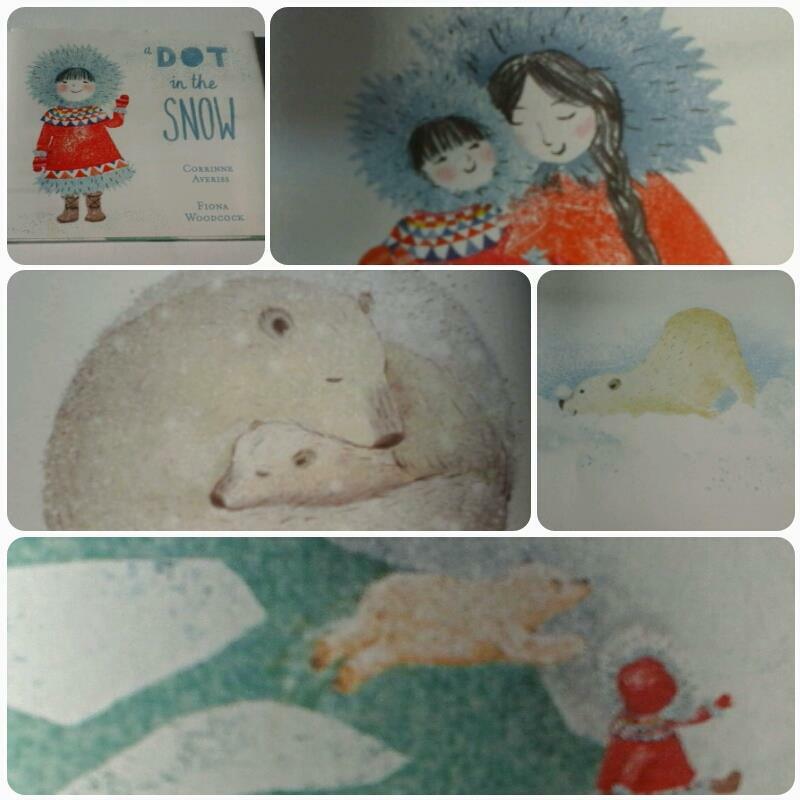 ‘Dot in the Snow’ is the story of a curious polar bear, a little girl lost in the snow, and the precious friendship they discover together. A polar bear called Miki would rather play than learn to fish but his mother is far too busy. Whilst she is distracted, his curiosity leads him away to a snow field where he spots a dot in the snow who turns out to be a little girl. When the ice begins to crack and a blizzard sets in, Miki has to find the courage to brave the arctic wilderness and help his new friend. A wonderful irresistible tale of courage and friendship. Corrinne Averiss has created a truly enchanting story. Fiona Woodcock’s exquisite illustrations capture the tenderness and joy of the relationship between Miki and the girl, whilst managing to create a book filled with warmth and coldness simultaneously. Beautiful and gentle a perfect bedtime story for younger readers. How do you describe Winter to someone who has never experienced snowflakes falling or crunched through deep crispy snow. For Robin who is enjoying a beautiful Autumn day in the forest bustling with activity, he wonders what this ‘Winter’ could be, who is making his friends fly away, squirrel away their food and hunt for a cave to hide away until it is over. Robin decides he doesn’t like the sound of Winter, until one day he wakes up and sees a sparkling and shimmering world covered with snowflakes. 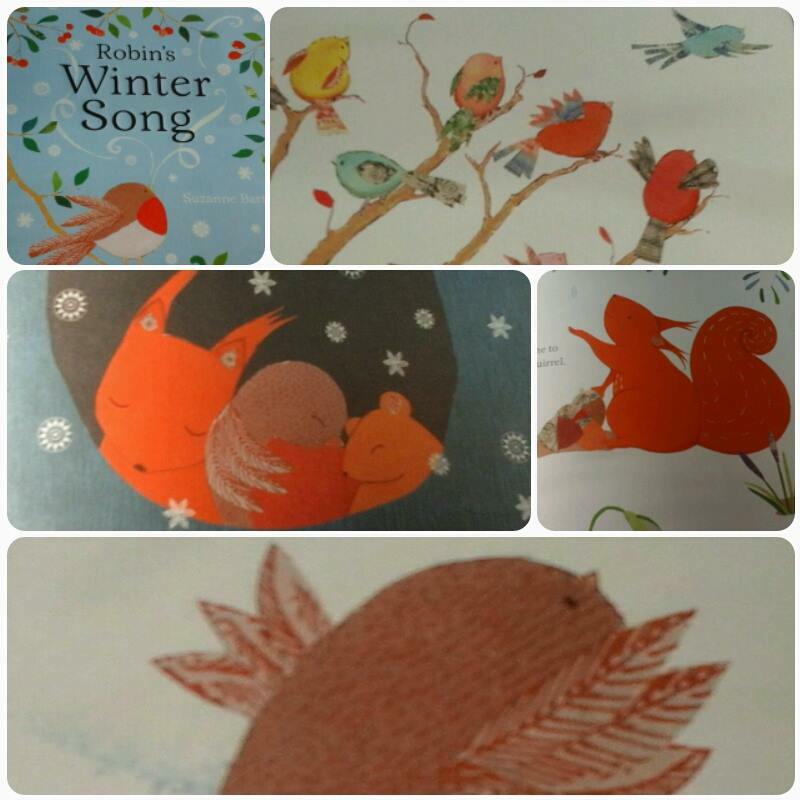 Filled with awe and wonder ‘Robin’s Winter Song’ is bound to captivate younger readers. Bringing the changes in the seasons to life through its beautifully contrasting spreads packed with intricate details, this is an absolute gem of a picture book. 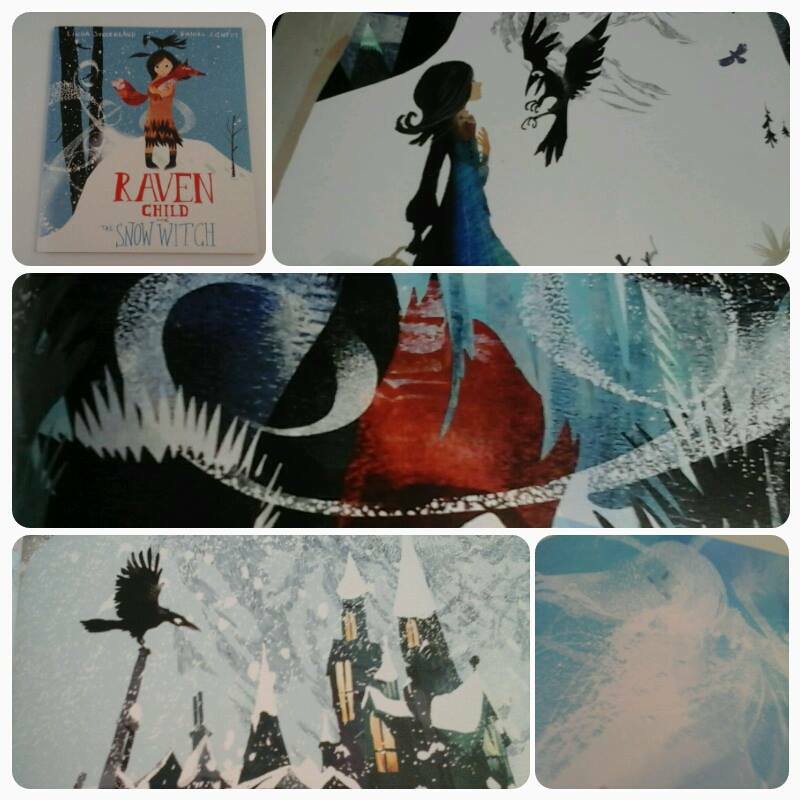 A dark, captivating and enchanting story from Linda Sutherland with stunning and vivid illustrations from Daniel Egnéus, ‘ Raven Child and the Snow Witch is a true delight. 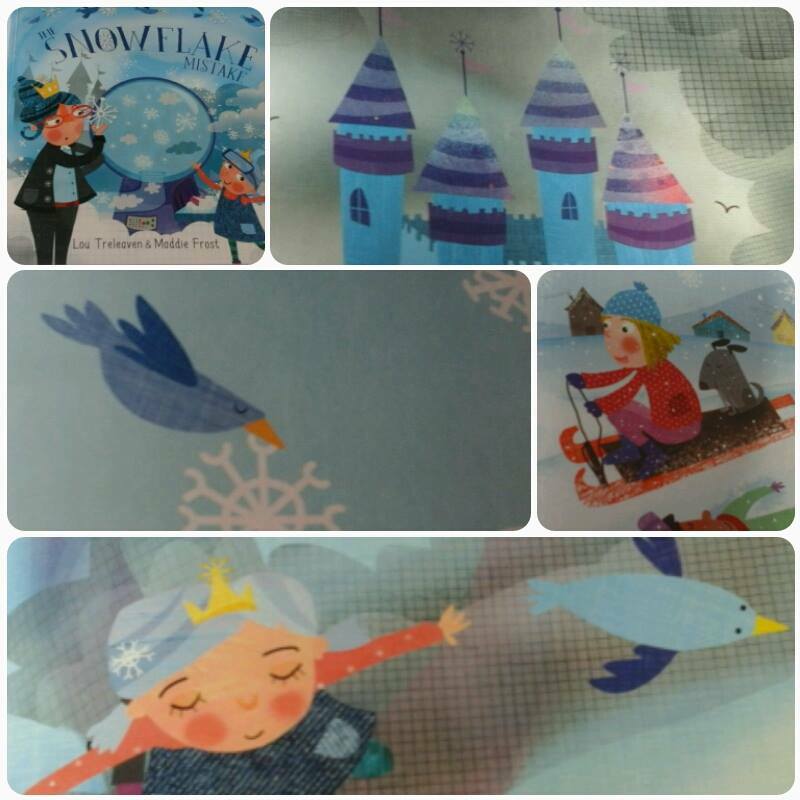 Anya lives with her mother and father in the shadow of the icy glacier where the Snow Witch reigns. Every spring, Anya’s mother journey to the glacier to pick the blue gentian flowers that grow there. But this time, she does not return. The ravens tell Anya the Snow Witch has captured and imprisoned her mother and she sets off on a perilous mission to find her. A tale of courage, hope and the power of love, this is a beautiful fairytale that will be enjoyed by older readers. The day the fox comes, things begin to change for Sol. He’s adrift too, lost in the big city with his father, longing for the wild and frozen north. The fox offers a way back, a chance to reconnect and find his way home. Inspired by the true story of an Arctic fox who ended up as a stowaway in Seattle, this powerful tale explores the themes of loss and bereavement, the connection between animal and humans and the need for us to find a place in the world where we belong. 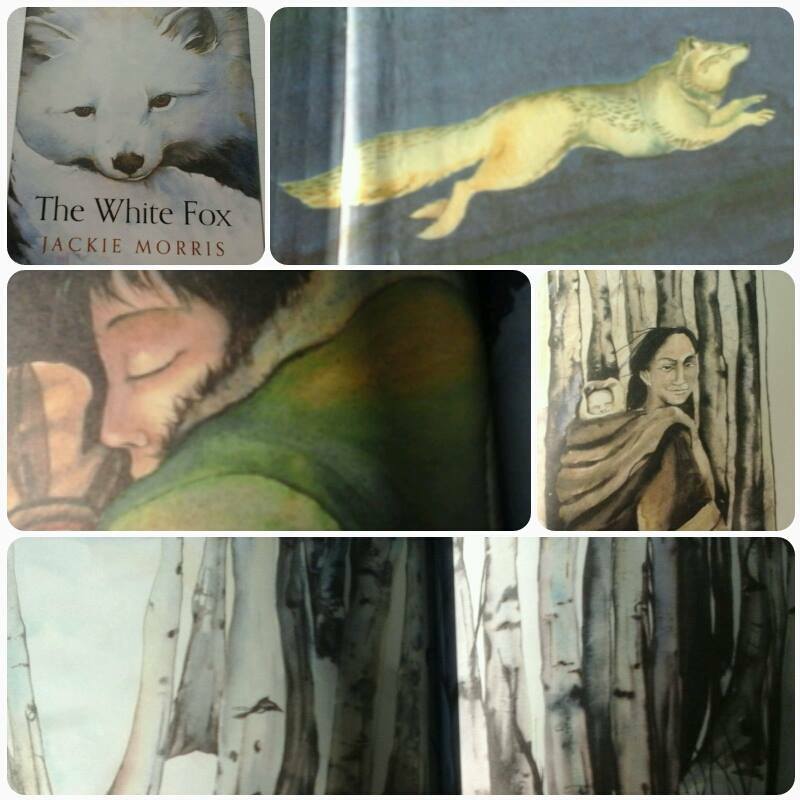 Filled with Jackie Morris’s stunning illustrations this book will entrance the reader with its magical storytelling and sheer beauty. This collectable hardcover edition with a foiled jacket and case, joins Barrington Stoke’s Colour Conkers – glorious, full-colour books that celebrate the very special alchemy that is interwoven word and picture. It wouldn’t be a wintry line up of books without featuring a tale from the author who for me captures winter like nobody else, the wonderful Emma Carroll. 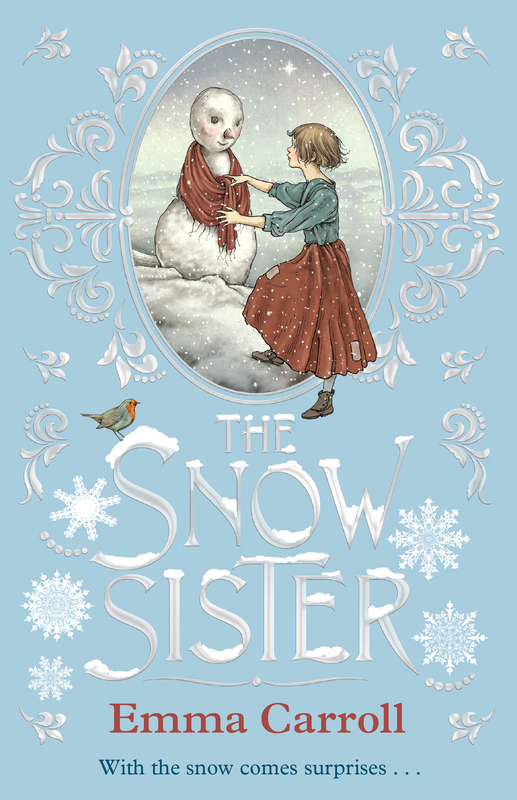 ‘Snow Sister’ is a poignant novella about loss and hardship and the importance of families. Since her sister, Agnes, died, Pearl has a tradition every time it snows. She makes a person out of snow. A snow sister. It makes Christmas feel a little less lonely. On Christmas Eve, her father receives a letter about a long-lost relative’s will. Is their luck about to change? A beautiful, Victorian tale filled with sadness but ultimately at its heart lies hope and happiness. Emma Carroll transports you to a different time and place with her intricate descriptions filled with glorious details, you really find yourself lost within this story. An absolute gem of a winter read! 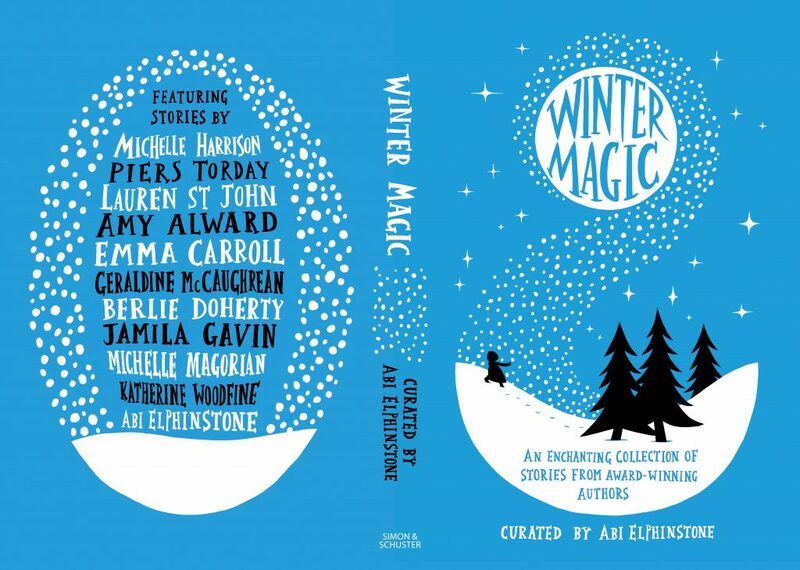 ‘Winter Magic’ is an enchanting collection of delectable short stories from an amazing array of children’s writers which captures completely the adventure, mystery, excitement and joy of this wondrous season. 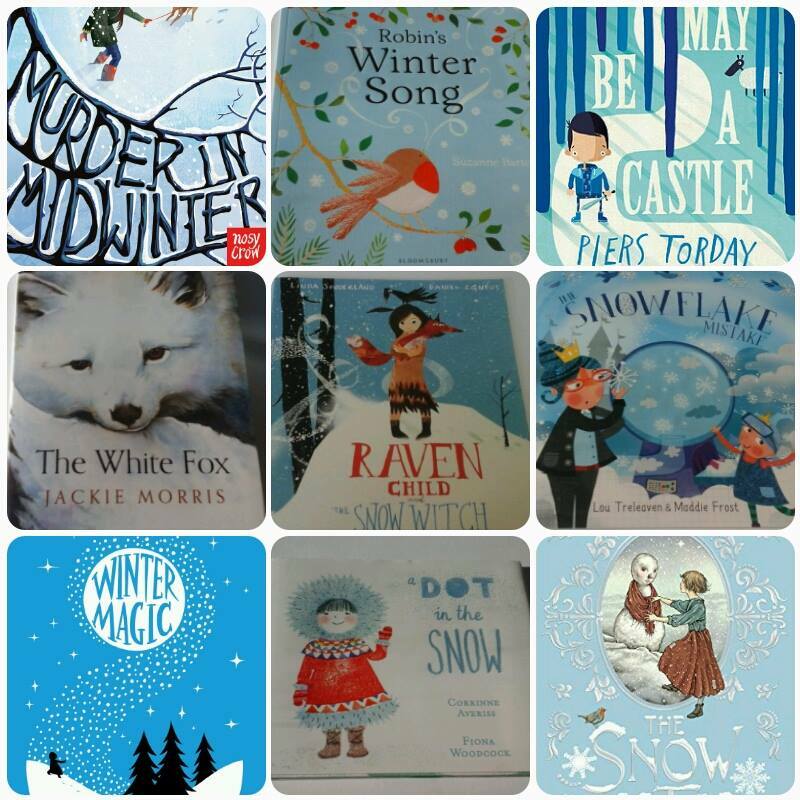 With a marvellous mixture of historical and contemporary settings every story is wonderfully different each of them giving us a different insight of the magic of winter. It is the perfect gift and I’m sure any child would be thrilled to find this under their Christmas tree. 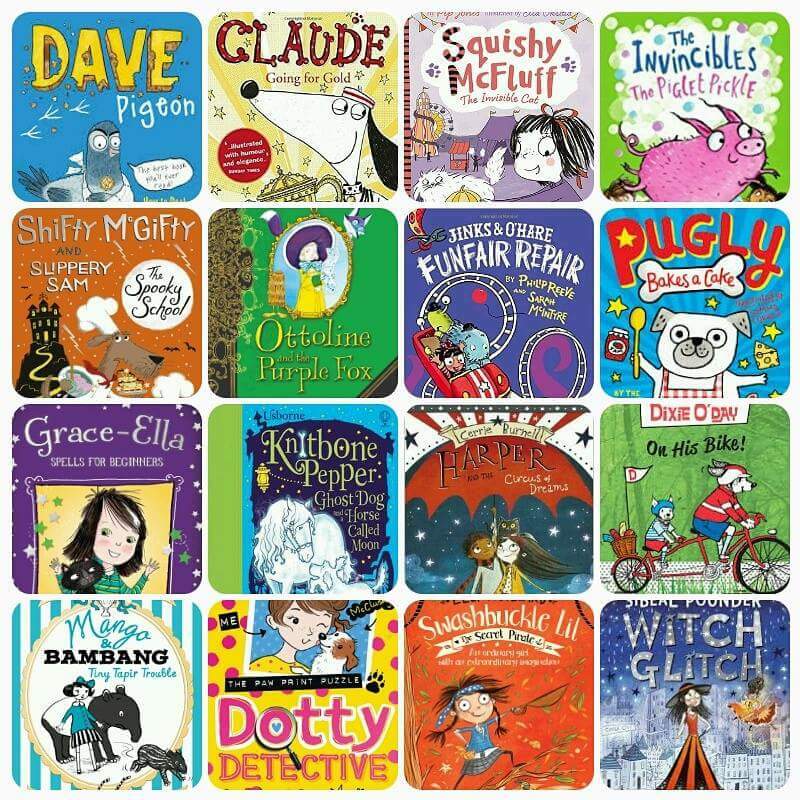 Ideal for sharing with younger readers or for more confident readers to read independently. To find out more read the full review of ‘Winter Magic’. Thank you to Barrington Stoke, Bloomsbury, Maverick Books, Nosy Crow, OUP, Quercus Books, SImon and Schuster and Templar Publishing for sending me copies of these books. This entry was posted in Uncategorized on December 4, 2016 by bookloverjo. 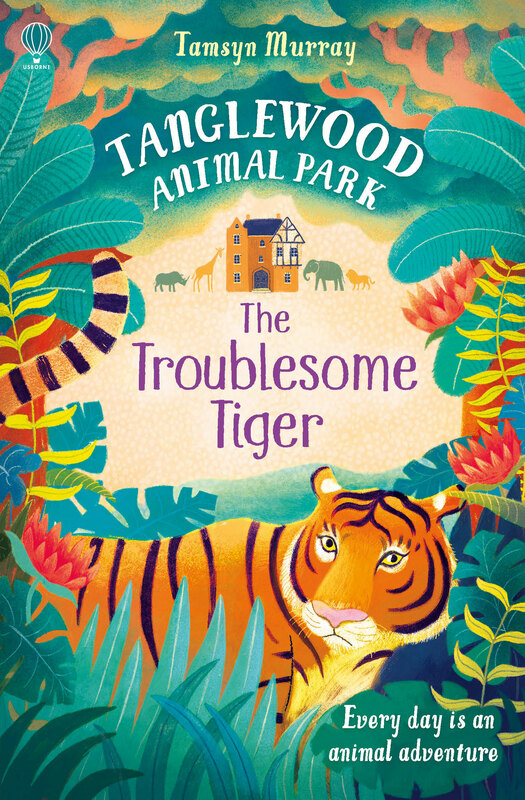 I am really excited to be able to reveal today the cover of Tamsyn Murray’s newest addition to the ‘Tanglewood Animal Park’ series, ‘The Troublesome Tiger which will be published by Usborne on February 1st 2017. So without further ado here it is…. This tigerrific cover has been designed by Hannah Cobley and Amy Manning at Usborne, with cover artwork from Chuck Groenink who also creates the illustrations inside the book. If you haven’t had the chance to enjoy this fantastic series, this is a perfect opportunity to read the first book ‘Baby Zebra Rescue’. When Zoe and her family buy Tanglewood Animal Park it seems like a dream come true for an animal loving girl to have lemurs, lions and zebras for neighbours. But things don’t run very smoothly for the Fox family and Zoe finds herself constantly arguing with the vet’s son Oliver who seems to resent her living there. Immersing herself helping to take care of the animals Zoe tries to ignore Oliver, but when a baby zebra Flash goes missing can they work together to save the day? Children will be enchanted by this wonderful tale filled with excitement and a multitude of animal facts to delight and inform. I’m intrigued to find out what happens next to Zoe and Oliver in their latest story, so let’s find out more. Zoe can’t wait to meet Tindu, the magnificent tiger who’s just arrived at Tanglewood. But Tindu’s having problems settling into his new home and refuses to leave his den. With the Terrific Tigers weekend just two weeks away, the pressure is on! 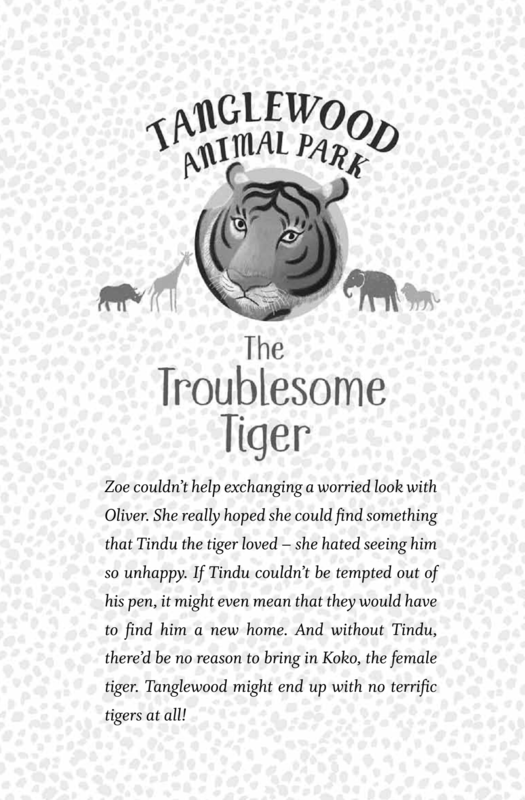 Can Zoe and Oliver help Tindu’s keepers come up with a way to get this troublesome tiger to trust them? 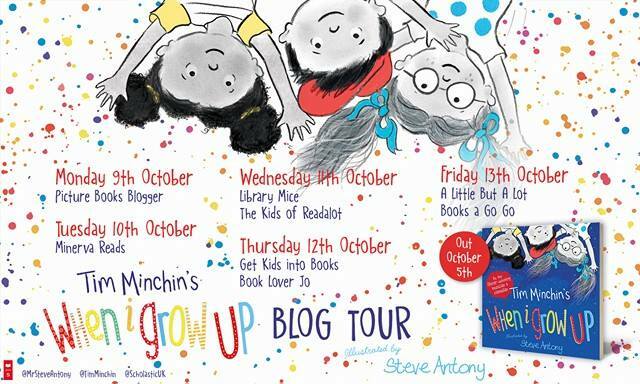 Tamysn Murray writes across all ages, from picture books to adult (as Holly Hepburn). Her books include the furtastic Stunt Bunny series, the Afterlife series, the cringe-along Completely Cassidy books and her first YA books for five years, Instructions for a Second-hand Heart. The first book in the Tanglewood Animal Park series – Baby Zebra Rescue – was published in July and The Troublesome Tiger is out on 1st February 2-17. with a third title to follow later in the year. When she is not writing, Tamsyn likes singing and dancing and eating ice-cream. She owns many pets and two children. Thank you to Tamysn for inviting me to reveal the cover of her fabulous new book, I’m looking forward to reading it in February. This entry was posted in Uncategorized on December 1, 2016 by bookloverjo.